There’s really only 3 ingredients needed for this peach cobbler plus a little cinnamon sugar for good measure. So next time you’re in a pinch and need a quick dessert for company, check your pins or bookmarks for this one. You’re going to need it! Have you ever been so busy cooking Thanksgiving dinner or wrapping Christmas presents and cleaning the house that you flat out forgot about dessert? Or maybe you were supposed to make a pie and forgot to make the dough? Now you’re tired, your back hurts and you just wish you had something quick. It’s those moments that I praise the grocery gods for boxed cake mix. I always have a few different kinds on hand and will stock up when they are on sale. I love, love, love to bake from scratch! In fact, here’s a peach crisp from scratch that I adore. Anyone who reads this blog regularly knows that. But, I also truly appreciate the convenience of a box mix. And frankly, there’s something so nostalgic about the flavor of cake mix cakes. My mom always made box mix cakes, so that’s what I grew up on. They honestly bring back lots of memories for me! 3 ingredients or 4 or 5?? The ingredient list below includes cinnamon sugar. 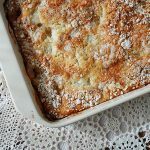 Some people will argue that this recipe has 4 or even 5 (if you separate the cinnamon and sugar) and not 3 ingredients. Here’s the deal. The cinnamon sugar is optional. 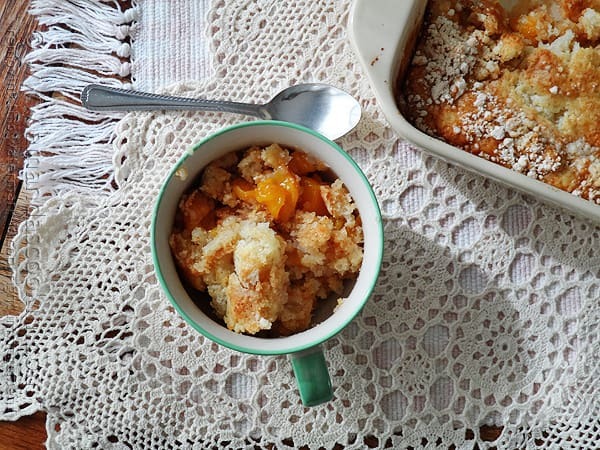 If you want to call this 4 or 5 ingredient French vanilla peach cobbler, have at it. You won’t hurt my feelings. 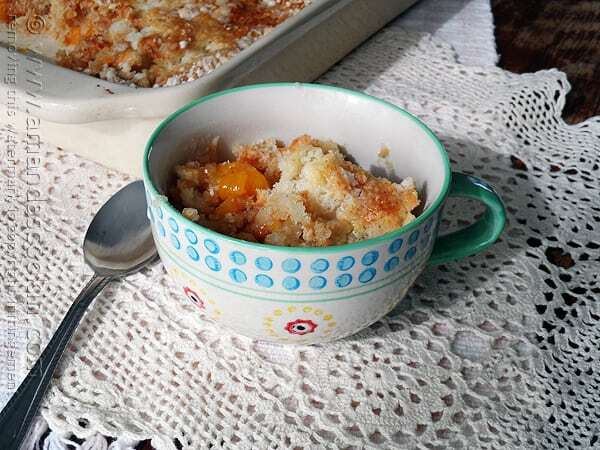 To make this quick peach cobbler, drain one of the cans of peaches, reserving the syrup. Empty the peaches into a 13×9 baking pan. Empty the entire contents of the other can of peaches (with syrup) into the 13×9 pan. Spread the peaches out evenly. Sprinkle cinnamon sugar across the top of the peaches. Sprinkle the cake mix on top of the peaches and press down with your hands. 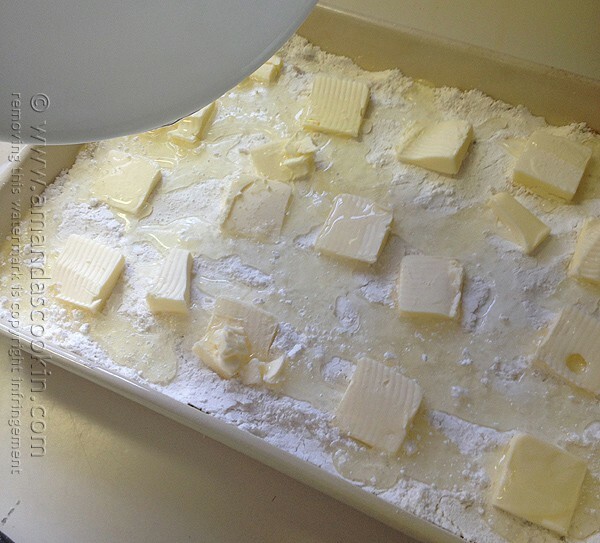 Cut butter into 16 pieces and distribute across the top of the cake mix. Pour reserved syrup over the cake mix and run a knife through the mix and the syrup to spread it around a bit. Bake in preheated 375 F oven for 45 minutes. Serve warm with ice cream, fresh cream or milk. If you love cobblers, I’ve hand picked a few for you below, or you can browse all my dessert recipes here. Even farther down are several other desserts with less than 5 ingredients. And this post has 23 three-ingredient slow cooker recipes! I’m a huge fan of the apple and cranberry flavor combination. So this Apple Cranberry Crisp has always been among my favorites. It’s perfect in the fall when fresh picked apples are in abundance. You can make it anytime though as apple pie filling is one of the ingredients. So whether you make and can your own, you freeze it or just buy it from the store, you can enjoy this crisp anytime. This particular cobbler IS my all time favorite. I love pears TONS but was never really a huge peach fan. However, the combination of the two in this Pear-Peach Crisp is absolutely amazing. I make this at least a few times every year and it’s very easy to throw together. 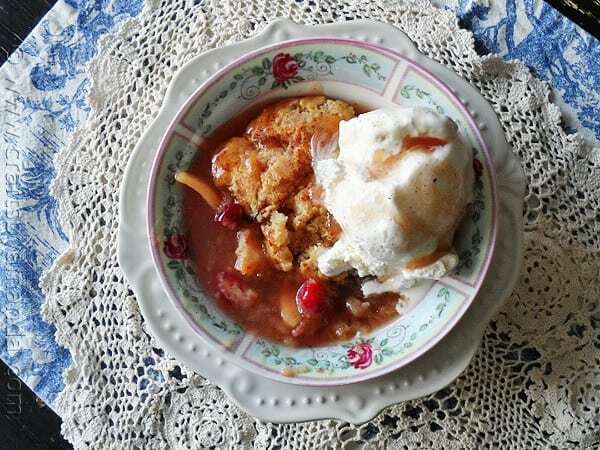 This next cobbler I’m going to share with you is super popular on this blog. It’s made in the crock pot, which means your house is going to smell amazing too. You’re not taking up space in the oven, so it’s a great dessert to make when you have company over. 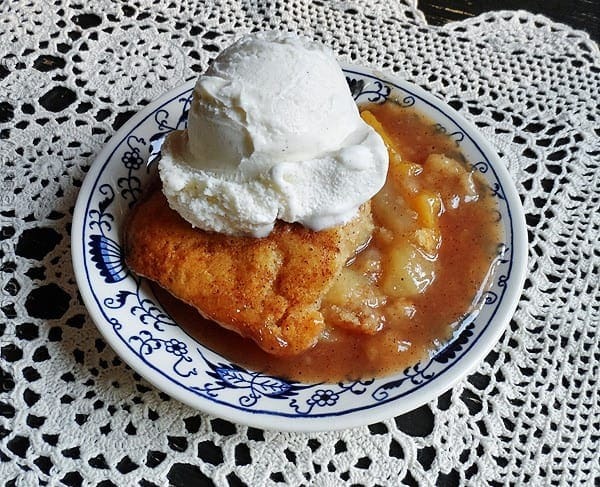 This Crock Pot Apple Cobbler also uses a cake mix, so it’s super convenient! I promised you some desserts with very few ingredients. 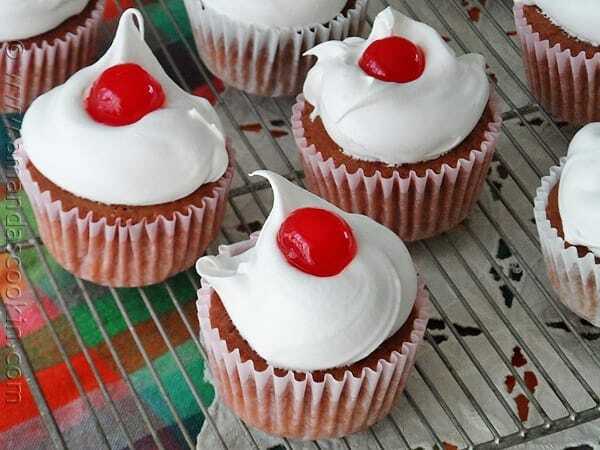 Let’s start with these 3-ingredient cherry cupcakes. You will be amazed at just how good these taste and how simple they are to make. Top with whipped cream and a cherry and they make for a beautiful presentation as well! 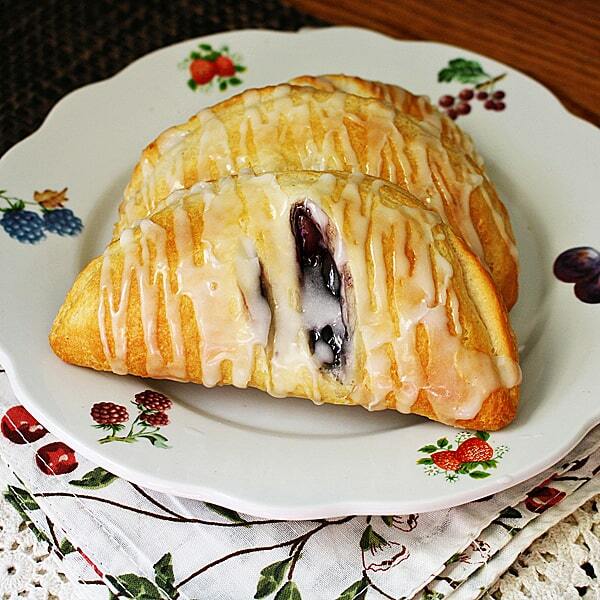 These 4-ingredient blueberry hand pies can be made with any flavor pie filling that you want. I used blueberry, but you can make peach, raspberry, blackberry or cherry if you like. But all you will need are 4 ingredients! These little gems are great for the fall season. They are delicious while warm or at room temperature and great for a quick holiday sweet treat as well. 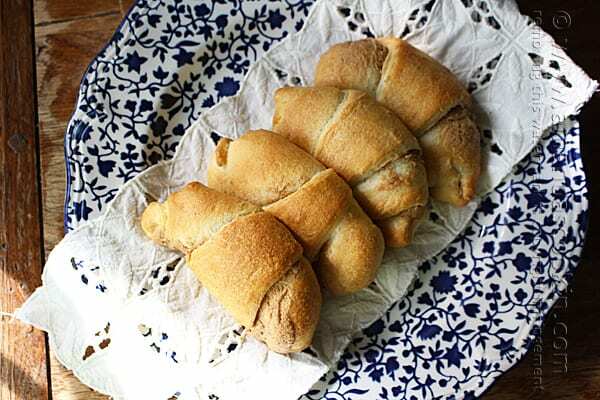 You’re probably wondering how you could only need 2 ingredients for these pumpkin peanut butter crescents? The secret it a pumpkin peanut butter flavored spread. I hope you’ve found something to make today. Be sure to bookmark, pin or sign up for my newsletter so you’ll know when something new is added! I would like to know if you can use fresh peaches in this receipt? Or would they have to be cooked. I haven’t tried it with fresh peaches, but I would imagine they would cook enough during the baking process so they should be fine. Please let us know your results if you try it! I just came across your website and love your recipes! I want to try this for my party this weekend. Just wondering what is the approx serving size for this recipe? aalso I’m confused about the cake mix do you make it according to instructions of the box and then add it in..or you just add the box powder mixture? Hi han. It’s made in a 13×9 pan, so it will depend on what your portion sizes are like. I would say 15 servings. Dry cake mix (do not prepare as directed on the box). This is basically a “Dump Cake”. Thank you for the nice and easy recipe. Have a Great Day! Thanks Liz, hope you like it! What can replace cinnamon? My daughter-in-law cannot have this spice. Hi Mimi. You can just leave the cinnamon out if you like, or you can replace it with nutmeg. Have you ever tried organic cinnamon? Anything that is not organic, that you buy at the grocery store, has all kinds of fillers, chemicals, and gmo’s added to it. Try to see if organic cinnamon works for her. Goes for anyone who had to stop eating or drinking something because of a health issue…..try ORGANIC! This sounds great. Where do you get a French Vanilla Cake mix? Would a yellow cake mix do just as well? Cake looks good but I didn’t see where you could make a copy of this cake recipe. It would be nice if you furnished a recipe with each one. Hi Donna. I’m a little confused by your comment. The recipe is at the end of the post and it’s printable, just click the print button. I have been making a similar recipe for many years and my family just loves it. You add 1/2 cup brown sugar over the peaches and then use either a white or yellow cake mix. I will try this one as it would be less sweet and both my hubby and I are diabetic. Thanks so much! 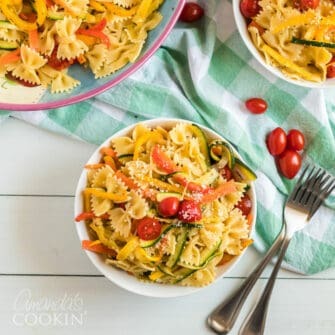 Looks so good – and EASY, yay!! Is there a way to use Fresh peaches in this recipe?? Hi Janet. Since the canned peaches are in a syrup, you would have to add that missing liquid. I’m not sure what the replacement amount would be. i would probably use a combination of water and some sort of juice. Peach if you can find it, or apple maybe? Most juices are apple with a little flavor from the juice on the label added. Fresh peaches are juicy. I would cut them over a bowl and catch the juice. Then add some sugar. I’m hungry! So easy and so simple! That’s my kind of dessert, Amanda! Thanks Lana, I love shortcuts too! 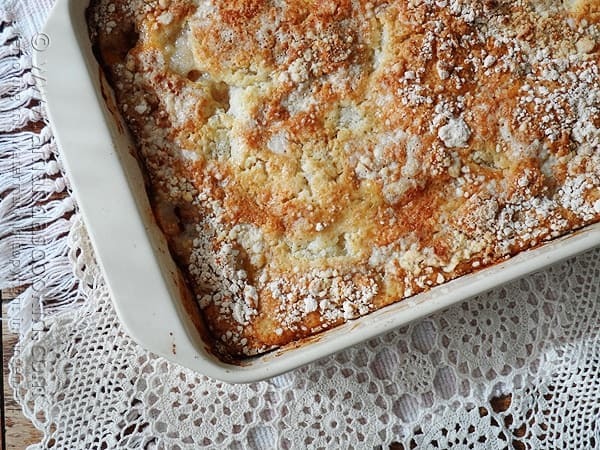 Does anyone know at what temperature the oven should be at for the Peach cobbler recipe? the recipe did not quote a temperature just said in a pre heated oven for 45 minutes. Help.